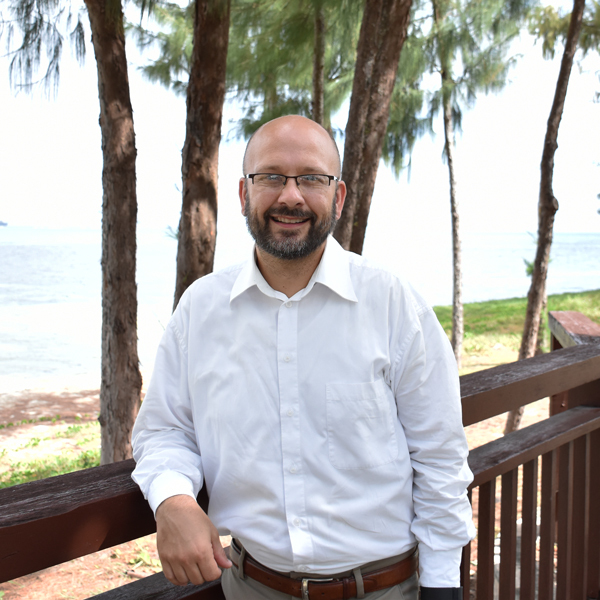 The first thing you’ll notice when you walk into Saipan Seventh-day Adventist Clinic is the incredibly friendly and inviting atmosphere. Members of our staff have been hand-picked to provide you the best possible experience during your visit to the dentist. Learn more about some of our fantastic team below. We have the only Registered Dental Hygienists in the CNMI. 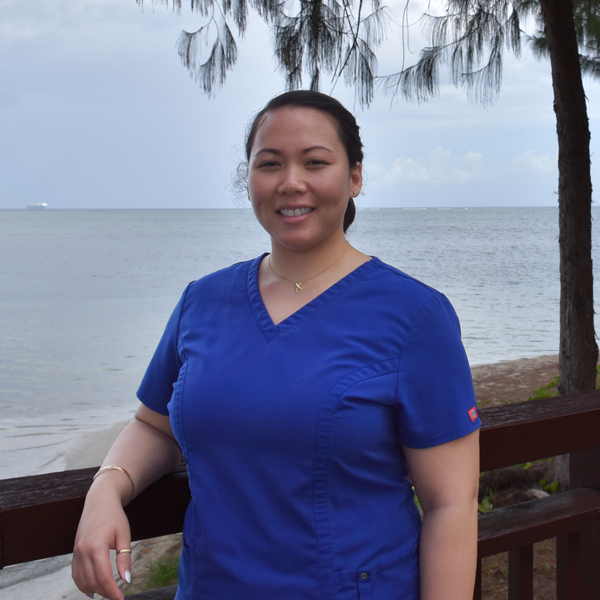 Additionally, all of our Dental Hygienists are trained in the United States, regularly attend Continuing Education training, and are licensed by the CNMI Health Care Professions Licensing Board. You will not find a better trained and more experienced group of Hygienists in the CNMI. Florida came to our clinic with the plan to stay for only two years. Now six years later Florida is still providing excellent service to our patients. 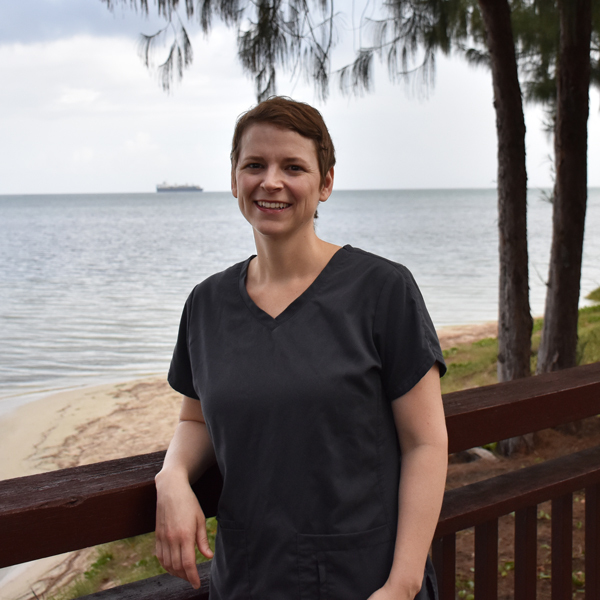 She is one of our traveling dental staff and has made trips to Tinian, Rota, Palau and Pohnpei. After finishing her primary training as a dental hygienist, Florida earned her Bachelors in Science in Dental Hygiene from Northern Arizona University. As a Hygienist at out clinic Florida enjoys getting to know her patients to better assist in their oral health needs. Maria has been with our clinic since 1976, starting out at the front desk, then training to be a dental assistant. 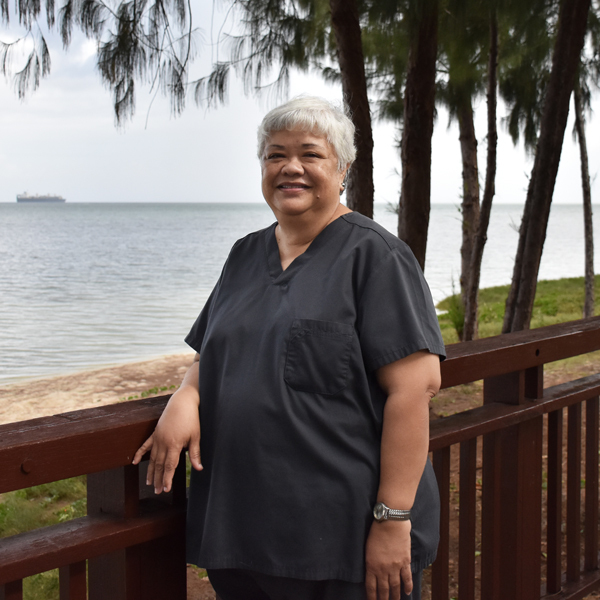 In 1978 Maria left the island and headed to California where she received her Dental Hygiene Certificate of Training and Education from Loma Linda School of Dentistry and with her new skills and education came back to the island. She has been practicing at our clinic ever since. Maria is very passionate about empowering her patients with knowledge, prevention, and treatment of periodontal disease and early detection of lesions of the mouth. Tina came to our office after years of practicing Dental Hygiene in Washington, Oregon, and California. Tina earned her Bachelors of Science Dental Hygiene from the Loma Linda University School of Dentistry in Loma Linda, California. 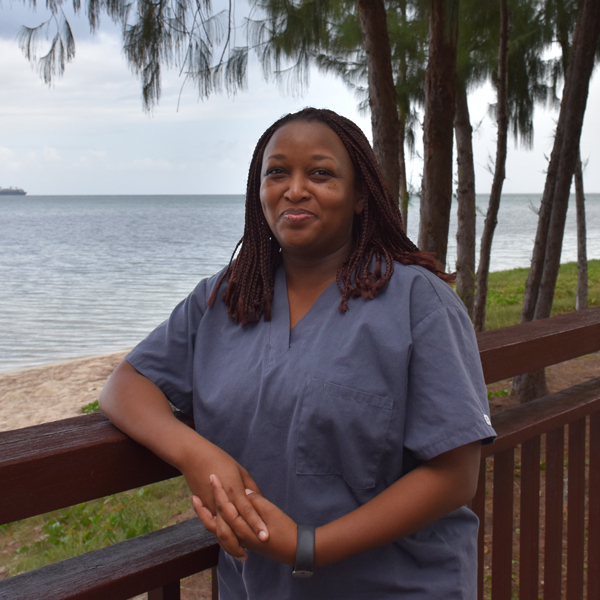 After graduation Tina continued her education by completing the expanded functions courses in Restoration and Local Anesthesia. As a Dental Hygienist Tina appreciates being a part of the patient’s health care and has a particular interest in the prevention of periodontal disease. In her free time Tina spends time with her husband and their two active boys, snorkeling, hiking, and baking. 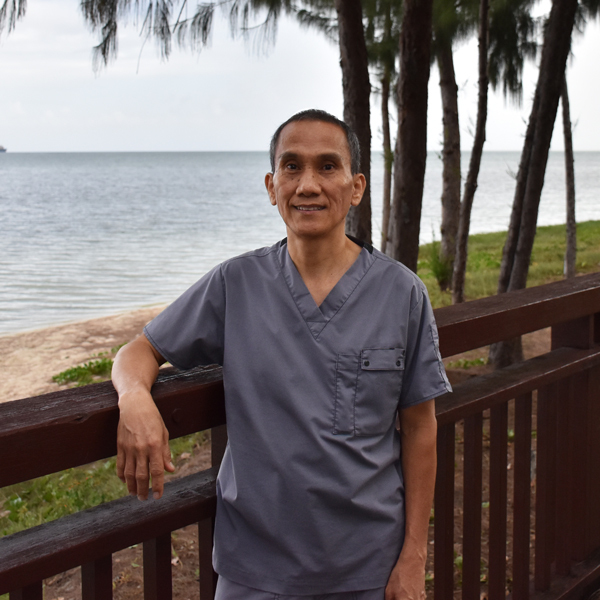 Frank trained as a dentist in his home country of the Philippines and is now using his extensive skills as a dental therapist in our office. Frank frequently provides care for our younger patients who appreciate his quick smile, while the parents value his expertise. From the moment you walk through our doors and are greeted with a smile, until you are back in the beautiful Saipan sunshine we strive to provide you with the best service available. Here are a few more individuals you may meet during your visit. Your visit to our office will usually end by meeting Cyji, our Treatment Coordinator. Cyji will guide you through your future treatment options. With an extensive history in both customer service and business administration, Trevor is our Office Manager. He oversees the day to day operations of the clinic. Trevor comes to us from Washington State. As Office Manager, Trevor would love to hear from you if you have suggestions and concerns. Because he is never in the same place for long the best way to reach him is through his email, officemanager@saipansdadental.com.